Thank you for your interest in establishing a dealer account with Murphy's Magic Supplies, Inc.! We are always eager to partner with serious and enthusiastic retailers of magic products. 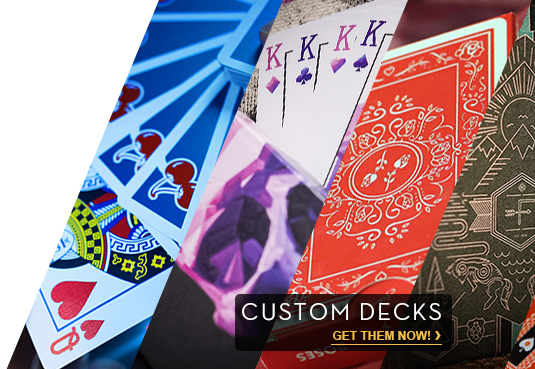 We specifically look for new dealers who can ADD VALUE to the magic industry and EARN THEIR OWN NEW CUSTOMERS. This is a well-established, niche industry with many competitive dealers. Potential new dealers should be willing and able to GROW the total market to help maintain the health of the magic industry. If you’ve got the passion and determination to become a retailer of magic products, please click on the link below and fill out and submit the application. We recognize that when applying you may not have all the answers to the questions, so please answer as best as you can. Our purpose is to understand your business so we can ensure you are using all that we have to offer to make you successful. All information will be kept confidential and will only be used by Murphy’s Magic Supplies, Inc.